Got the Emirates cable car back to Greenwich. Went to the FutureBuild show at ExCEL today (efficient visit: five meetings in just two hours). 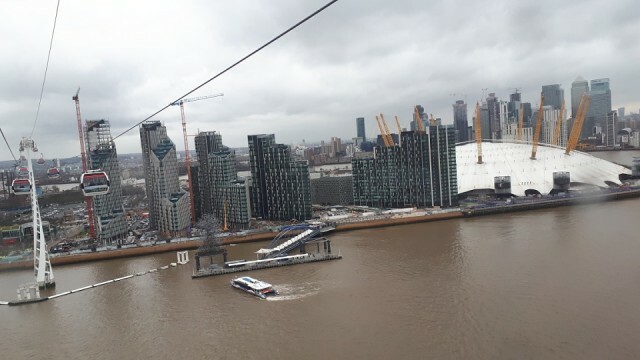 Got the Jubilee Line/DLR there but opted for the cable car on the way back.